Infections, chronic high blood pressure and bleeding or clotting disorders increase the risk of pregnancy-related stroke in women with preeclampsia. Although pregnancy-related stroke is rare, women with preeclampsia are at higher risk of stroke during pregnancy and postpartum. 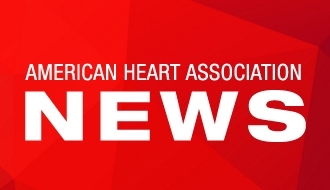 DALLAS, May 25, 2017 — Urinary tract infections, chronic high blood pressure and bleeding or clotting disorders may increase the risk of pregnancy-associated stroke in women with preeclampsia, a high-blood pressure disorder unique to pregnancy, according to new research in the American Heart Association’s journal Stroke. 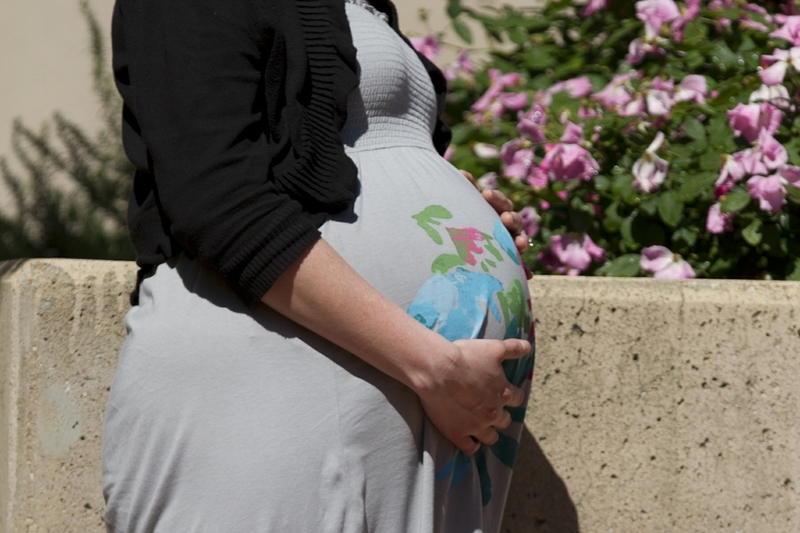 Women with preeclampsia are at higher risk of stroke during pregnancy and after delivery. But while preeclampsia affects 3 percent to 8 percent of all pregnancies, pregnancy-related stroke remain rare. In a study of women admitted to hospitals in New York State from 2003 through 2012, researchers identified 88,857 women with preeclampsia. Of that number, 197 had pregnancy-associated stroke. about three times more likely to have infections when they arrive at hospital, or had high blood pressure before developing preeclampsia or had blood disorders involving clots or excessive bleeding. Researchers noted a link with urinary tract infections was interesting “because those infections are not only treatable, but could be preventable,” Miller said. Using billing data from the New York State Department of Health inpatient database, researchers compared women aged 12 to 55 years old with preeclampsia and pregnancy-associated stroke to a matched control group of women with preeclampsia who did not have strokes. Among the women with preeclampsia and stroke, most strokes occurred postpartum, after women had been discharged home after delivery. 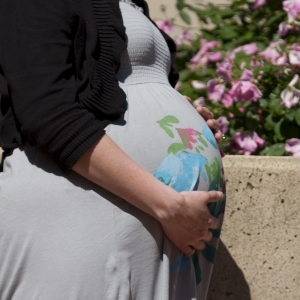 More than one in 10 of the preeclampsia-related strokes were fatal. The study’s reliance on patients’ billing data limited the level of detail researchers could analyze and restricted them from drawing definitive conclusions. But the associations were strong enough, Miller said, to help generate new ideas and directions for more research. The American Heart Association recommends home blood pressure monitoring for all people with high blood pressure. Co-authors are Hajere Gatollari, M.P.H. ; Gloria Too, M.D. ; Amelia Boehme, Ph.D., M.S.P.H. 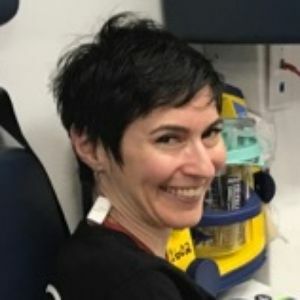 ; Lisa Leffert, M.D. ; Randolph Marshall, M.D. ; Mitchell Elkind, M.D., M.S. ; and Joshua Willey, M.D., M.S. Author disclosures are on the manuscript. 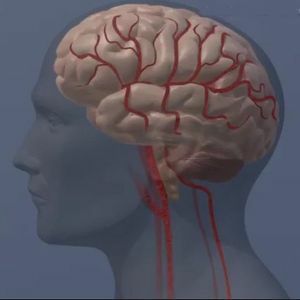 The National Institutes of Health National Institute of Neurological Disorders and Stroke funded the study. Note: May is American Stroke Month and Preeclampsia Awareness Month. 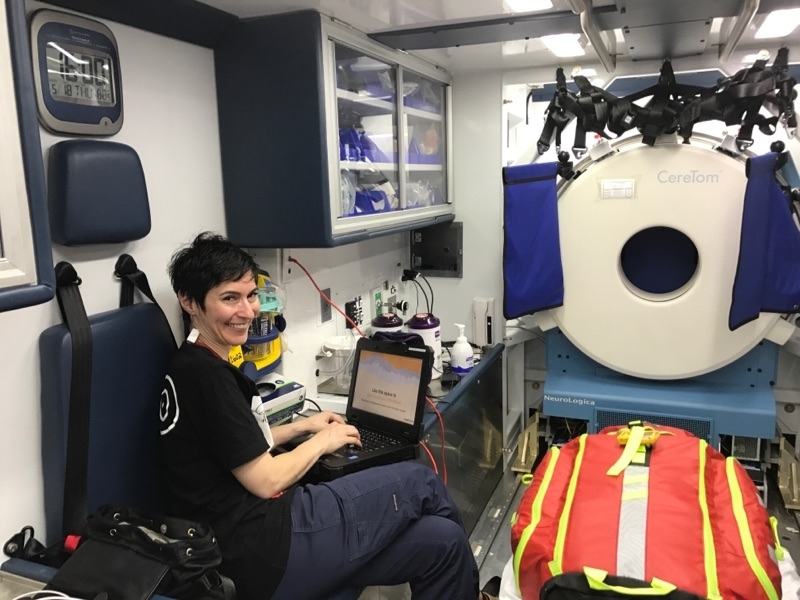 Eliza Miller, M.D., Vascular Neurology Fellow, working in a New York Presbyterian Hospital Mobile Stroke Unit.